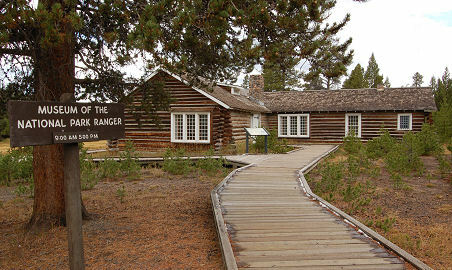 The Museum of the National Park Ranger may be all that is left of Norris Geyser Basin's historic Soldier Station, but it serves as an important marker to the evolution of this country's first national park. Following the establishment of Yellowstone National Park by Congress in 1872, the U.S. Calvary was brought into Yellowstone to protect its natural resources from poachers and vandals. Soldier stations, such as the one established at Norris Basin, were equipped with living quarters, horse stables and basic amenities for the military units. Norris Geyser Basin was a popular destination for tourists, and sadly, for vandals, due to its geological attractions. The soldiers' residence at Norris provided a visual deterrent to visitors who were tempted to take home souvenirs of the park. After the relegation of these protective duties to the National Park Service in 1916, the soldier station was converted to quarters for NPS rangers. The building was upgraded several times until 1959, when it sustained structural damage from an earthquake and had to be rebuilt. Portions of the building have been carefully preserved to reflect the station's original layout. 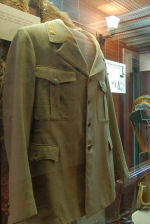 The Museum of the National Park Ranger focuses on one specific aspect of this history: the men and women who have served as stewards of America's national parklands, beginning with their military roots in the U.S. Calvary, to their present-day role of protectors and administrators for the country's largest collection of recreational areas. The museum exhibits include a laser-disc movie of the NPS's historical documentary, "American Legacy" The museum is staffed voluntarily by retired NPS staff and is located 1 mile north of Norris Junction. The museum is open seasonally, June to September, from 9:00 a.m. to 5:00 p.m.